EliGrass for your Garden, gone are the days of tireless mowing, fighting with weed control, patchy areas, too much sun, constant watering or too much rain mud and mess. 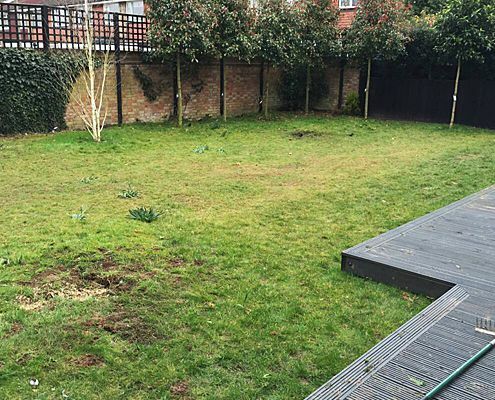 With an EliGrass lawn those days are gone, see our selection of grass and find the perfect look and feel for your garden. What Exactly is EliGrass Artificial Grass? Artificial turf is a surface of synthetic fibres made to look like natural grass. It is most often used in areas for residential gardens and originally developed for sports that were played on grass. The main reason is maintenance—artificial grass stands up to heavy use, such as in sports and areas with children and or pets, requires no irrigation or mowing and particuarly good for areas that do not receive much sunlight to keep natural Grass healthy. Most of our Garden grass range looks very natural, we can even add stripes for that fresh cut lawn look 365 days a year. But we encourage you to look into the many qualities of EliGrass that sets us apart from the rest of the market. EliGrass guarantee most of our artificial grass range for 10 years as we know we have a durable grass for every type of use. 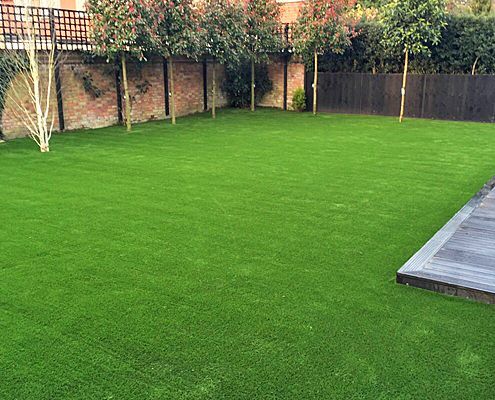 Through years of product development we can also offer some of the softest feeling fake grass on the market but with the durability to last more than 30 years. Due to the awareness, interest and demand for artificial grass our EliGrass range has expanded and we have a grass suitable for all uses. Speak to us today for more information and knowledgable advice. You’re tired of watering, weeding, feeding, and mowing. Your water bills are too high. You don’t want to use chemical and herbicides. You believe EliGrass fake grass looks as good as real grass, even better.